At Coastal Auto Shipping we offer a true Instant Auto Transport Quote service. With literally hundreds of auto shipping companies in the U.S there will be numerous methods of obtaining rates on your next vehicle transport. One method which many customers dislike is where your shipping information is sourced out to multiple auto transport brokers. With so much competition with in the industry what ends up happening is shipments are under quoted. Meaning that transport routes which are normally one price get so reduced that vehicles end up not being picked up or even worse. The worse part is the prices are changed from their original quotes because of the bidding war unreliable auto brokers create. Coastal Auto Shipping give our customers an experience no one else can, providing low legitimate rates. 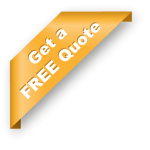 We guarantee our auto shipping quotes include taxes, tolls and insurance on your next vehicle move. Our rates are calculated weekly by our expert team to ensure realistic rates in current transport markets. Our job is to price your transport move right the first time to make your experience hassle free. We even offer options of open auto shipping, enclosed auto shipping and even international auto shipping. Our goal is to offer you a reliable auto transport service you can trust. Please feel free to fill out a free instant auto transport quote or if call us today.